Since the beginning of IPN we register an increasing demand for IoT/Data Analytics services by industrial companies. The enquiries we receive range from rather simple data analysis to the analysis of the actual utilisation of products for the specification of successor products to the development of specific predictive models and the design and implementation of a complete digitalisation strategy for a products and production sites. To optimally support our customers with their IoT/Data Analytics projects we offer a range of different, tailor-made consulting services. A fundamental characteristic of our consulting services is the underlying methodology that we have developed in our projects over the last years and which we continuously refine. From experience we know that the base of every successful IoT/Data Analytics project is an answer to four basic questions (What, Where, How and With What). These four questions form the core of our methodology which is based on the “CRoss Industry Standard Process for Data Mining” (CRISP DM) and incorporates the initial situation as well as the challenges our customers are facing. What are the main goals to be achieved using IoT/Data Analytics? (“Business Understanding”) – Only if you have a clear picture of the goals you want to achieve, we can assist you in a goal-oriented and efficient manner. Where are the potentials to achieve the goals located? Which machines or products in combination with which task (maintenance / reliability / additional services) provide the expected benefit? („Data Understanding“) – Which tasks should be performed in what sequence for which machine/product to generate he biggest benefit with the least investment. How can the right data be selected, be provided in the required quality and be pre-processed to achieve your goals? What kind of infrastructure is required for these tasks? („Data Preparation“) – Every company collects some data in one or another form. We make sure that you are collecting the right data in the right quality and we pre-process it optimally according to your goals. With what can your goal be achieved in the most efficient way? 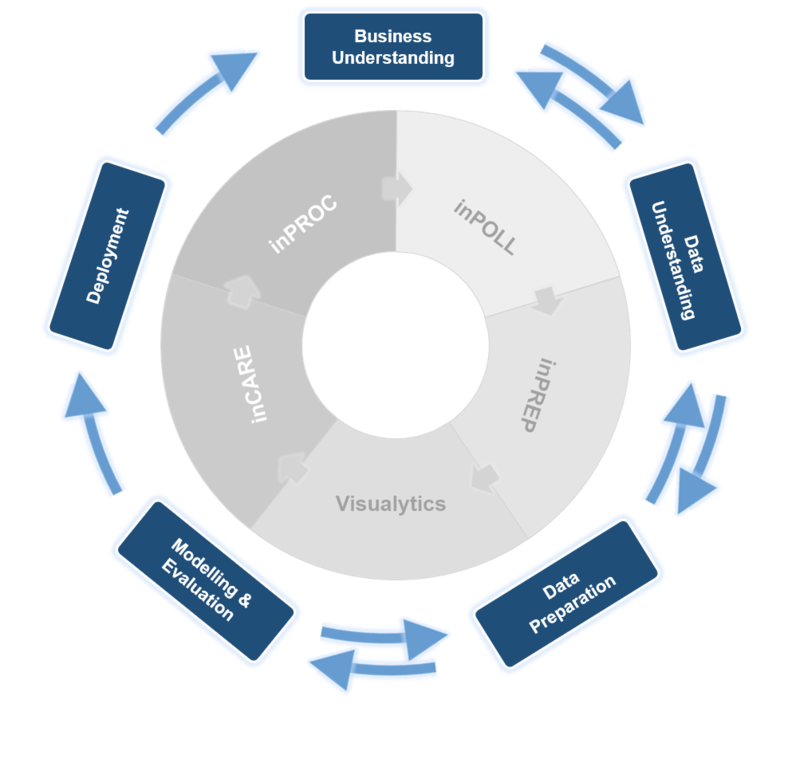 Which approach is needed to gain insights and understand the complex relationships in your data? What type of models are the right ones to predict your events? („Modelling & Evaluation“) – Only if your data is accessible in an easy and intuitive form you will be able to exploit all the value hidden in it. Because of our methodology our customers are able, for the first time, to achieve their IoT/Data Analytics goals in the desired quality and with a realistic timing. Rosenbauer AG is increasing the reliability of their firefighting cars even further with the help of root cause analysis by IPN. IFE Innovation For Entrance Systems is implementing a digitalisation strategy (including Condition Based Maintenance) which was developed with the IPN methodology.